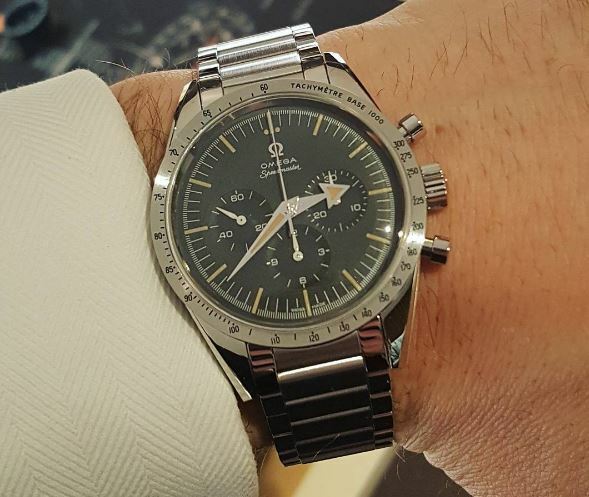 Omega brought a strong game to Baselworld this week with a comprehensive collection of new Speedmaster and Seamaster models, most of which are likely to make collectors very happy. As we predicted, the new Speedmaster Racing Master Chronometer made a big splash. The minute-track on the dial first appeared on the 1968 model and is a nod to the Speedy’s racing heritage. 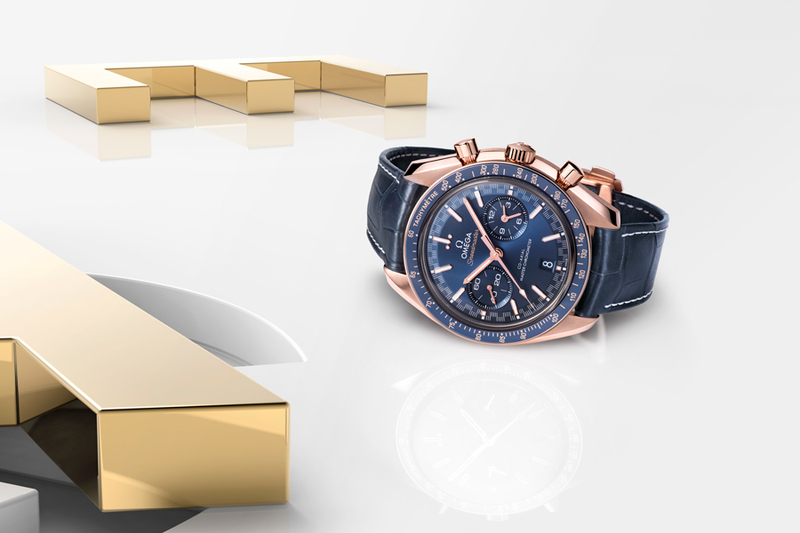 Omega is releasing two versions of the watch – stainless steel with a matt black dial, a polished black ceramic bezel, and orange text matching the color of the varnished hands and tip of the seconds hand; and the other in 18K rose gold with a blue dial, blue ceramic bezel with rose gold tachymeter scale, and blue alligator strap. Next up in terms of importance are the 60th anniversary 1957 Trilogy Limited Editions, paying tribute to some high coveted classics, including the original Speedmaster. Omega used some high tech digital scanning technology to make accurate design templates from the rare watches: the Seamaster 300, the Railmaster and the Speedmaster. All three are cased in brushed and polished stainless steel with black ‘tropical’ dials. A reference to how suppliers back in the 50’s all interpreted the Omega logo in their own way, each model features a different version of it. Each watch is limited to 3,557 pieces and comes in a presentation box inspired by the original 1957 packaging, including the iconic Seahorse on the lid, a retro logo and red corduroy lining. Four new 38mm Speedmasters are also being introduced as the first in a range of 14. 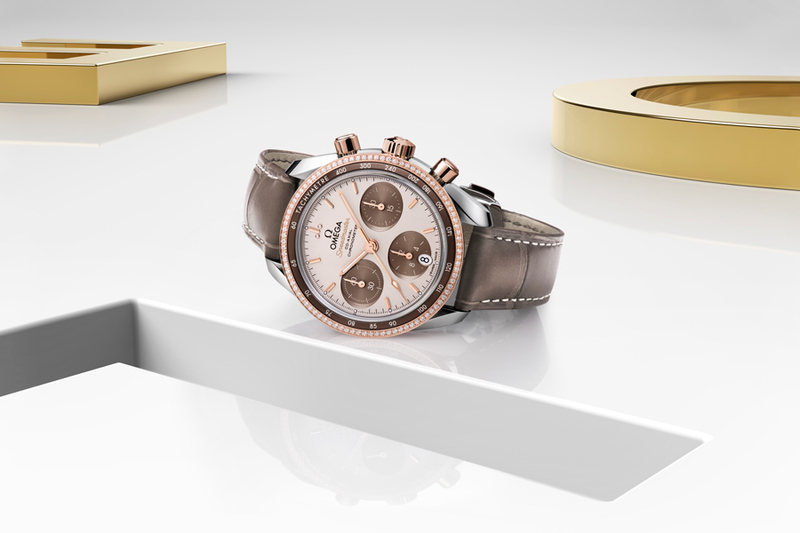 Each Speedmaster 38 mm features horizontal oval subdials and a vertical oval date window positioned at 6 o’clock, inspired by Omega’s classic De Ville models. Some of the 38’s get diamond-paved bezels, which we aren’t crazy about, though they retain the classic tachymeter scale. The three launch models include the “Cappuccino” made from stainless steel and 18K rose gold, bi-colour dial while and brown leather strap; the second is stainless steel with a white mother-of-pearl dial, white leather strap, diamond-trimmed oval subdials; and the third is stainless steel and 18K yellow gold with an opaline-silvery dial, green aluminum bezel and a green leather strap. On a more modern note the new Seamaster Planet Ocean “Big Blue” is the very first Omega watch to feature a blue ceramic case. The watch sports a matching blue ceramic dial with an orange GMT track, and hands and indexes in 18K white gold with a white Super-LumiNova coating. 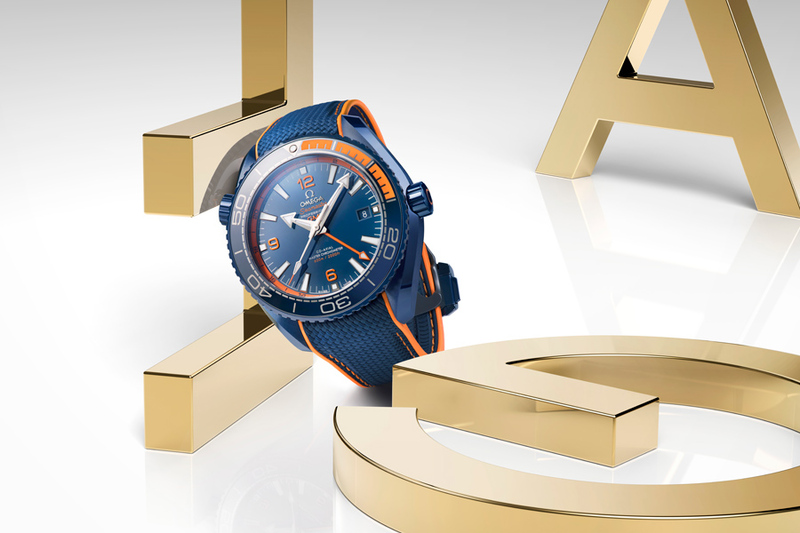 The blue ceramic bezel features a diving scale with Liquidmetal numerals and, most interesting of all, a blend of orange rubber and ceramic covering the first 15 minutes. Orange rubber injections have also been used to color the Omega logo on the crown and helium escape valve symbol. The screw-in casebook also features a new patented ceramic “Naiad Lock” that keeps the engraved wording pleasingly in position. 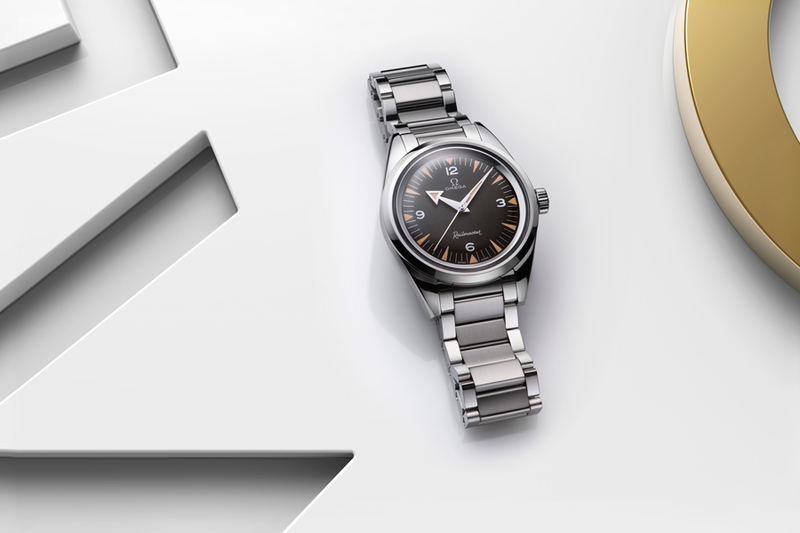 Stay updated with Omega’s new watches from Baselworld at their homepage.